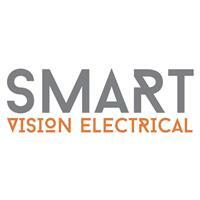 Smart Vision Electrical Ltd - Electrician based in Taunton, Somerset. Smart Vison Electrical Ltd have been established in 2017 and we have many years of experience in the trade. We are conscientious tradesmen and we take pride in our work. Our aim is to ensure a 100% customer satisfaction. We are a friendly, polite team. We believe in quality of work and we will always aim to deliver the best possible job. We are reliable, we will always aim to charge the given price at quotation. We accommodate our services for domestic clients. You can be rest assured that you are in good hands with our services, we are qualified Electricians and are accredited with NICEIC - Part P Domestic Installer and also hold City & Guilds Level 3 certificate in Electrotechnical technology (Building &Structures) and Level 3 in the requirements for Electrical Installations. Please click here for our full list of services we are skilled in.